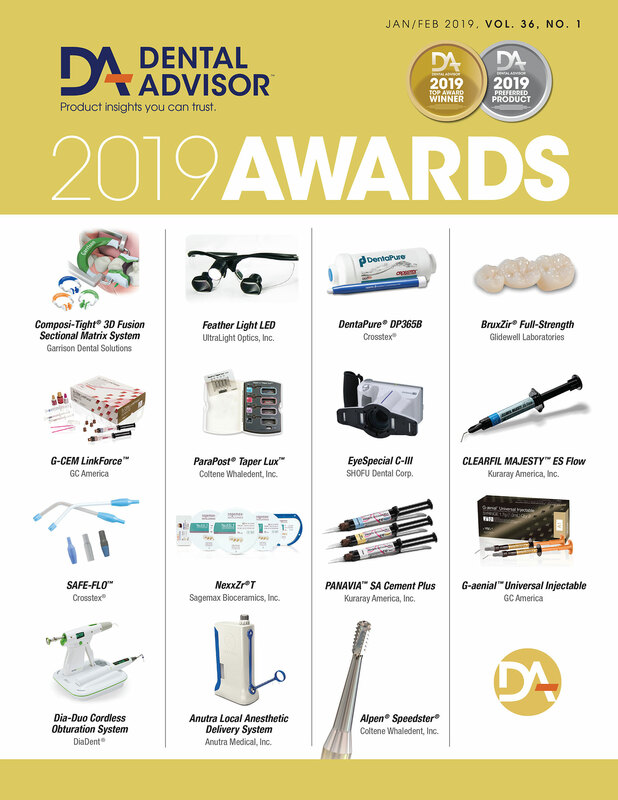 A total of 194 anterior and posterior Activa™ BioActive-Restorative restorations were originally placed and 158 of these restorations were recalled at two years. The restorations were placed with and without the use of bonding agent after etching (Figure 1). They were one, two, three or four surface restorations (Figure 2). After initial placement, only a few patients reported some sensitivity, which subsided over time. At the two-year recall, no patients reported any postoperative sensitivity (Figure 3). 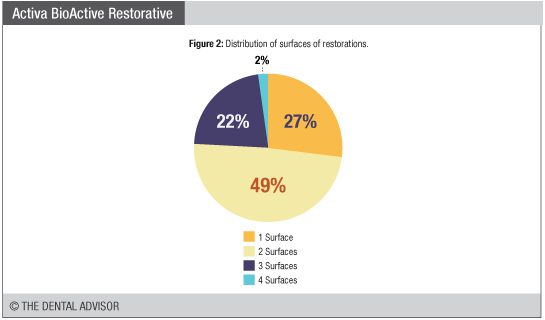 The esthetics of the restorations was excellent (Figure 3). 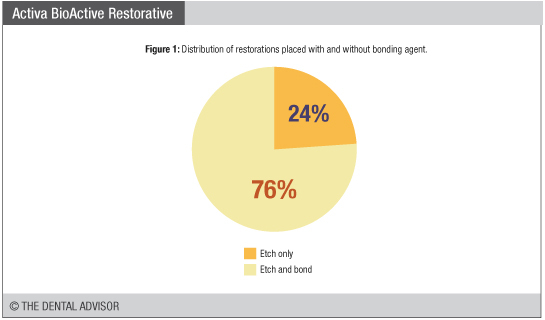 Ninety six percent of the recalled 158 restorations received a rating of 5, while 3 received a rating of 4, and 3 a rating of 3 – lower ratings usually were the result of slight staining and discoloration. None of these restorations needed replacement. Resistance to marginal discoloration was also excellent (Figure 3). Only 4 out of the 158 restorations received a rating of less than five. Two had a rating of 4 and two others had a rating of 3. Ninety-nine percent of the restorations exhibited no signs of wear (Figure 3). Only two of the recalled restorations exhibited slight wear. Retention Retention was excellent (Figure 3). One restoration out of the 158 partially debonded and was replaced. Retention was excellent (Figure 3). One restoration out of the 158 partially debonded and was replaced. 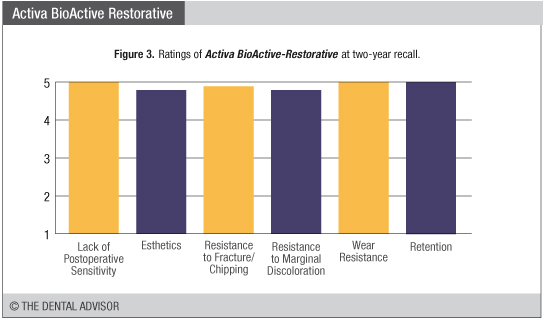 Activa™ BioActive-Restorative performed extremely well at the two-year recall. Each evaluated category received a 96% or better rating. 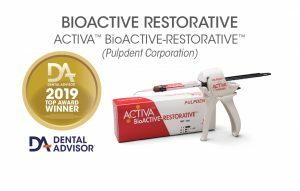 Overall Activa BioActive-Restorative received a clinical performance rating of 98% at the two-year recall.